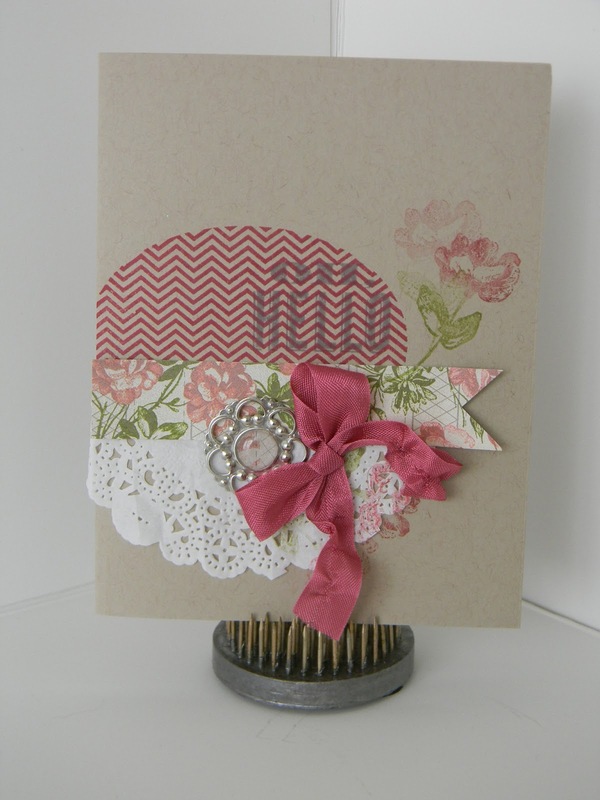 I'm sharing this sample with you made with the Oh, Hello stamp set from the Spring Catalog because I love how I can make quick, beautiful cards or projects with it! This sample is very vintagie - is that a word? Well lets see, the sample has a vintage feel. That's better. To get the crinkle effect on the ribbon, I just pulled one thread and gathered it. That was easy and gives a nice look to the card rather than having the ribbon tails just hang straight. I adhered it with a glue dot, one of my must have supplies! I use them all the time. I love this card. How about you?